The moral of the story of ‘The Boy Who Cried Wolf’ isn’t don’t lie, it’s don’t tell the same lie twice. Renewables rent-seekers continue to stick with the same grab bag of lies, myths and furphies, despite mountains of evidence revealing their marketing pitch is just so much polished propaganda. South Australia (Australia’s so-called ‘wind power capital’) is held up by wind worshippers as the example of how to transition to a 100% renewable energy future. When the wind blows for a few hours at a stretch (see above) the wind cult claims victory, and seizes the high moral ground. However, woe betide anybody with the temerity to point out that SA’s obsession with wind power has left it with the highest power prices in the world, retail power prices rocketing, year-on-year, at 20% and a tripling of power costs to business in just on two years. Oh, and heaven forbid, don’t mention state-wide blackouts and mass load shedding, caused by total and totally unpredictable collapses in wind power output (see above). The problem for the wind industry, its parasites and spruikers is, and has always been, the facts. STT can only admire their ability to reinvent them, refashion and varnish them, as they try to deflect attention from the bleeding obvious. However, over time, each new ‘explanation’ put forward in the face of rocketing power prices seems to hit a brick wall. One minute, they’re claiming that rising power costs are all about ‘gold-plated’ networks, the next, rocketing gas prices. The range of excuses is only limited by their imagination and the naïveté of a willing and gullible mainstream media. 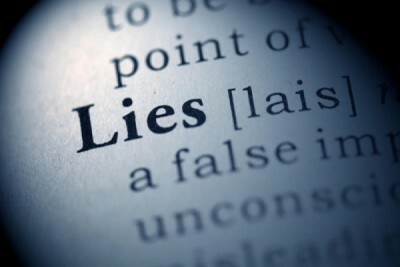 Now, the Global Policy Warming Foundation has taken Britain’s wind industry to task for telling the same lie, more than once. 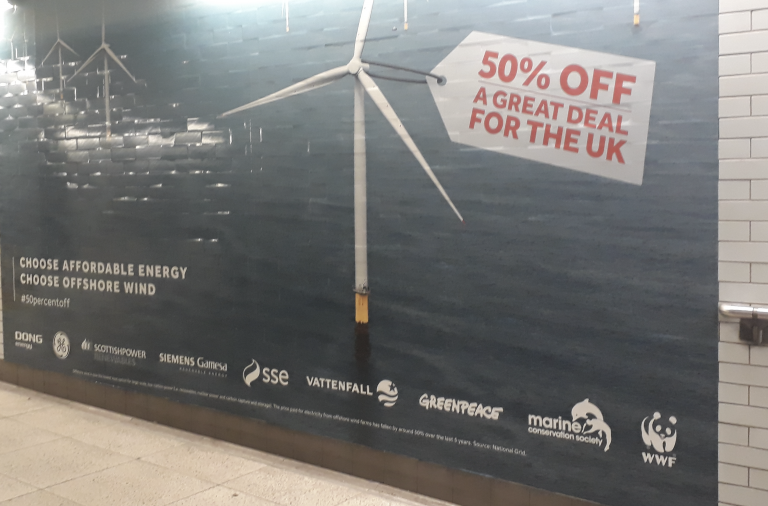 The Global Warming Policy Forum (GWPF) has lodged a formal complaint with the Advertising Standards Authority (ASA) concerning the current poster campaign for offshore wind at Westminster tube station. 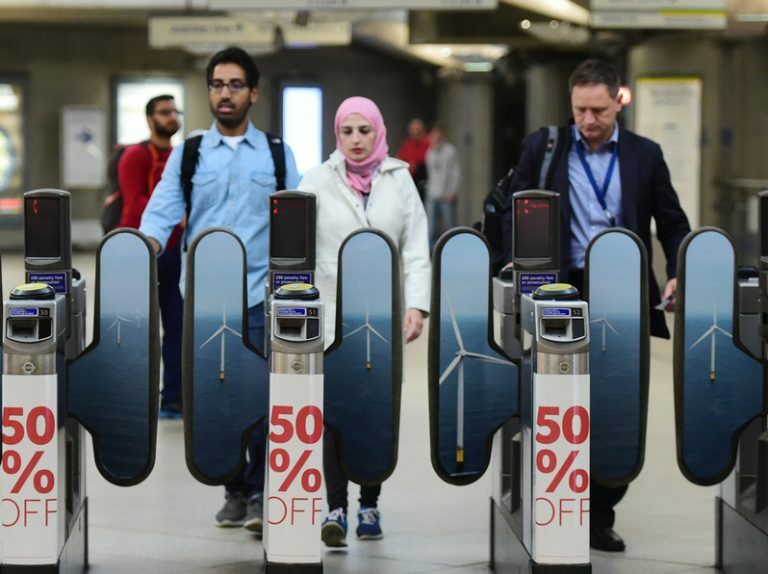 The campaign was launched by what the media has described as a “coalition of companies and civil society organisations” (including Dong Energy, GE, ScottishPower Renewables, Siemens Gamesa, SSE, Vattenfall, Greenpeace, Marine Conservation Society, and WWF). This is untrue. In most cases the prices paid for electricity from the UK’s offshore wind fleet have not fallen at all, and though there were small cuts to subsidies for new offshore projects built from 2015 on, this amounted to a reduction of around 5%. The GWPF’s complaint shows that the campaign is playing fast and loose with the facts. The ads are deliberately misleading MPs and the wider public into thinking that existing wind farms have been cutting their prices. In fact, the allegedly lower prices are only related to auction bids in so-called Contracts for Difference which apply to tentative future wind projects that will not start generating until 2021/2022 and may in fact never be built — or never generate at these low prices. As a recent study has shown, the capital costs of new offshore wind do not appear to be falling and may even be rising as they move into deeper waters. The CfD bids made are just investor speculations on future policy changes. Of course, repeatedly lying about wind power being free and getting cheaper all the time brings with it the inevitable risk that policymakers might just take you at your word, and slash those massive subsidies, for good. “It is challenging but possible to simultaneously put downward pressure on prices and enhance the reliability of the system, while meeting our international emissions reductions targets,” he will say at the start of the two-day summit that begins on Monday. The speech will signal a possible shift away from plans to design and implement a CET from 2020 onwards, in the belief emissions reduction can be achieved without such a scheme. Mr Frydenberg will place great emphasis on reliability. Apart from already flagged reliability measures such a strategic power reserves over the next four summers, and the push to keep open the Liddell coal-fired power station, Mr Frydenberg will flag the introduction of “day-ahead commitments” to apply to the renewable energy industry. Currently, a wind farm, for example, produces power on the same day it sells it into the market. Under the change, it would have to commit to provide the power the day before, meaning it would need either back-up storage or an agreement with a gas generator, for example, to meet the commitment should the wind not be blowing. “It is against this backdrop of a declining cost curve for renewables and storage, greater efficiencies that can be found in thermal generation and the need for sufficient dispatchable power in the system that we are considering the Finkel review’s 50th recommendation to which we’ll respond before the end of the year,” he will say of the plans for a CET. Sadly existing subsidies will be maintained for now, but at least at face value this announcement by the Australian federal energy minister appears to provide a roadmap for the eventual complete elimination of renewable subsidies, and a normalisation of the relationship between renewable providers and other energy providers. If this announcement is followed by swift action to axe all renewable subsidies, and remove all special privileges for renewables in the marketplace, it pretty much eliminates my objections to renewables. All I ever demanded is that renewables compete on a level playing field. If renewables businesses are now able to compete due to plunging costs of renewable installations and energy storage, good luck to them. Of course, if claims of renewable and energy storage cost parity with fossil fuels all turn out to be a pack of marketing spin, with market normality restored most existing Aussie renewables businesses will die by the invisible hand of Adam Smith. Interesting dichotomy. If they are so brilliant they don’t need subsidies. 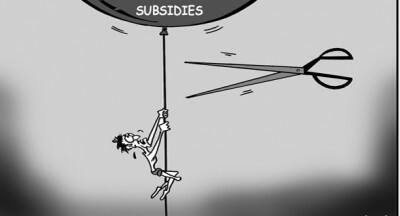 If they need subsidy they are an uneconomical method of providing intermittent power. I would go one step further. If we need standing reserve for when the wind doesn’t blow than wind farmers should pay a heavy penalty when they fail to provide power. Never mind constraints payments which are a farce. If the wind is so strong that they need to constrain off generation wait half an hour and the turbines will get closed down anyway and you can make the weasels pay for failure to supply. I struggle with the suggestion, well it’s seems more than a suggestion, there’s a supposition of certainty that offers to supply made “the day before” rather than in the 5 minute intervals on the day of supply, will add to reliability. What penalties are proposed for any (no doubt wind-powered) generator that fails to meet its day-before commitment on the day of supply? If there are significant penalties involved, the policy might mean that a wind-operator will be more likely to under-offer on its supply and this may provide some relief for base-load generators. But what I can’t see is how sufficient electricity will be available if base-load has been run down to, say, 65% of supply potential and only, say, 10% of wind’s, say, 60% of the 35% of renewables is possible on a given day i.e. instead of supplying 21% of the total electricity required intermittent wind would only be able to manage 2% leaving an enormous shortfall of 19%. Having supplanted coal as the reliable base-load generator there doesn’t seem to be any sanction intended for wind power generators who simply do not offer to supply on any given day. So called ‘Renewables’, should never have had a handout from the public purse, they are a business with massive international backing, why do they need our money handed to them for no real return to us – in either power security or financial return. While ‘Watts up with that’, is happy to see the demise of the subsidies, I want to see the complete removal of these things from our environment. They not only strip us of our money, they also strip far too many people of the life they cherished, their home and their health. Until this industry is purged from our Nation these people and possibly far more in the near future if even a few of the projects proposed and approved go ahead, will suffer. I always thought the reality of the financial cost of these things would eventually wake people up to the madness of this form of energy production. Anyone with a claim to have a human brain could see the dangers and the falseness of the claims made by the industries promoters. The manner in which the followers of the industry shunned peoples pain and concerns, the manner in which they went after those trying to open the door on the industries lies shows just how far down the road of depravity people were and still are willing to go to ensure the survival of this industry. That this behaviour transcends borders is testimony to the skill of those liars and money hungry proponents – that their lies are now so very slowly being brought into the open, all be it on the back of the financial cost can only assist the deeper lunacy and depravity of this industry being exposed to the broader community. Even if those who with gusto while in deep denial handed out our money to industry sharks is taking time, they are beginning to see their mistake but want to hide behind the removal of subsidies as being what is needed to rid us of this damaging industry. Sooner or later and for the sake of those suffering hopefully it will be sooner they are going to have to accept this industry should be destroyed never to be able to re-emerge.